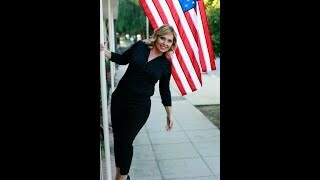 I am a life-long resident of the Inland Empire and a licensed California Real Estate Broker, California Certified Residential Property Manager, Certified Short Sale and Foreclosure Specialist. With over 15 years experience in the mortgage loan industry, I am dedicated and prepared to assist you with your mortgage loan or refinance. 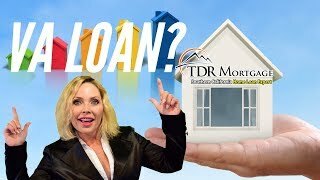 Teresa Tims TheSoCalLoanPro.com shares her secrets for first time home buyers. 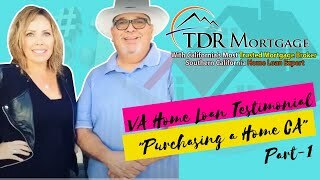 Rachael C gives a video testimonial and shares valuable information on how her family are proud homeowners and got into a home for about only 1800.00 total In Southern California. Listen to the Video and read about the specifics here. Down Payment Assistance – 1% total move in. FHA, California Housing & Finance Authority (CalHFA) 640 mid fico, 1st time buyer restriction (not own home in 3 years), up to 55% Debt Ratio, Gift funds ok, Work purpose Social Security OK. BK / Foreclosure 3 years, SFR, condos on case by case. Must complete homebuyer education. Income restrictions; San Bern / Riv Counties 1 person (per) –50350, 3 per-64700, 5 per-77650. Orange Co. 1 per–67850, 3 per-87200, 5 per-104650. LA Co. 1 per – 51550, 3 – per 66250, 5 per 79500. FHA max sales price limits forSan Bern / Riv. County 368k and LA and OC County 431k . Unless you have had your head in the sand you have probably heard by now the Insane Interest Rates that exist on homes because of the troubles in the stock market. I would urge anyone out there right now to pursue a 15 year fixed loan if possible. A 3.25% 15 year fixed rate loan is the opportunity of a lifetime. Call me for a free evaulation. Also check out what Paula Michalski says about me (blush, blush) more importantly listen to what she say about how I can help pay for Closing Costs. Click on the Video to view. Ron Burnes purchases a home in Alta Loma, CA using Teresa Tims, a specialist at closing home loans quickly. He got a Killer Deal, below market and closed in 20 days. Let him tell you how he did it. BUY A HOME IF YOU HAVEN’T LET ME SHOW YOU HOW EASY IT CAN BE. Jackie O’Dell a first time buyer gives a testimonial about her experience purchasing a home with Teresa Tims, Mortgage Finance Expert. Jackie gives insights into how easy it was to buy a home using a seasoned mortgage pro.